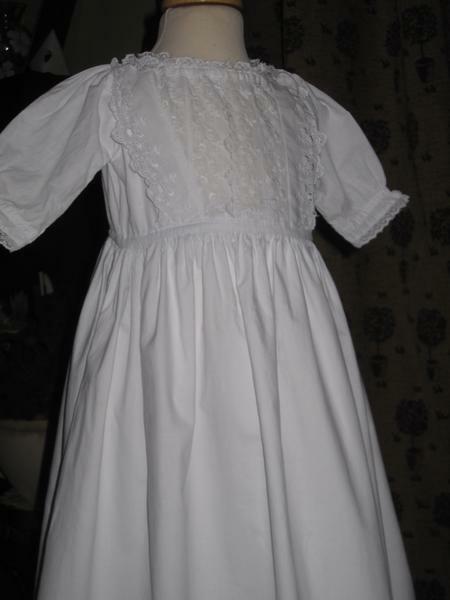 A pretty little marriage gown ideal for baby boys as well as baby girls. 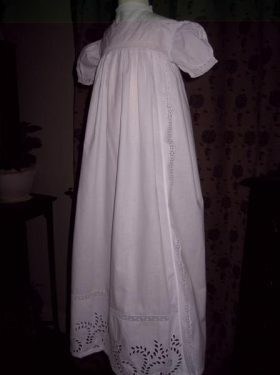 Marriage gowns are very popular and are a great example of early recycling! 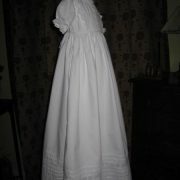 The bodice is from the Victorian age but the skirt is Edwardian. 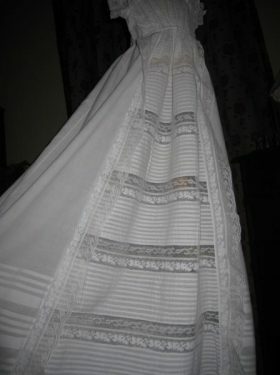 Along the way the original skirt has been damaged and so the bodice has been "married" to another skirt, creating this lovely little example. 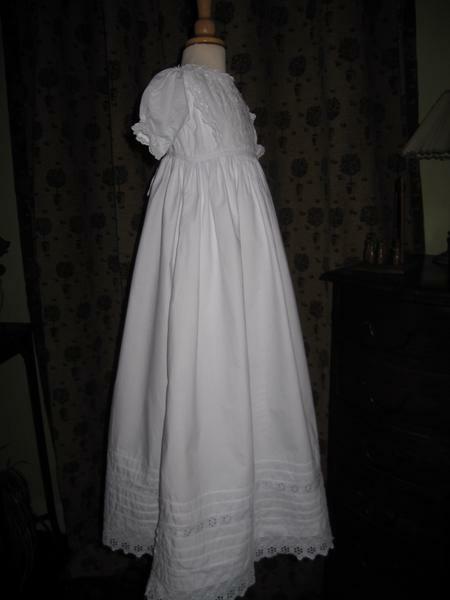 This gown has a pretty bodice of vertical rows of cutwork lace edged with scalloped robings. 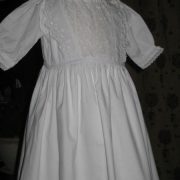 The neckline is gently gathered and trimmed with lace. 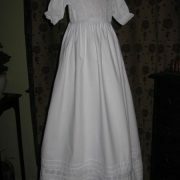 Three quarter length sleeves are also trimmed with lace. 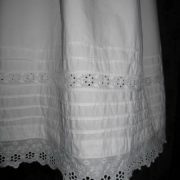 vertical strips of lovely cutwork lace alternating with fine cotton lace on the yoke. 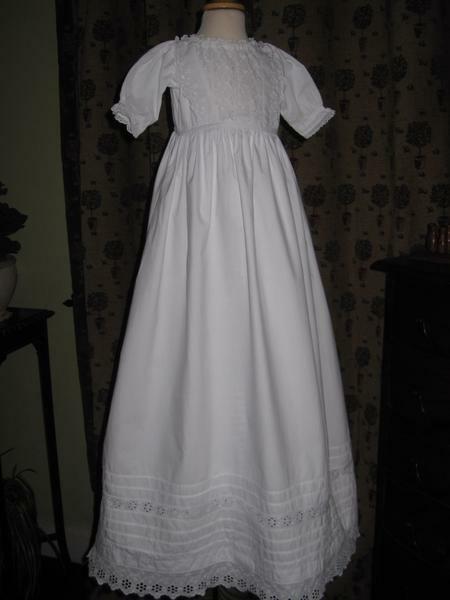 A high neckline is trimmed with delicate cotton lace. 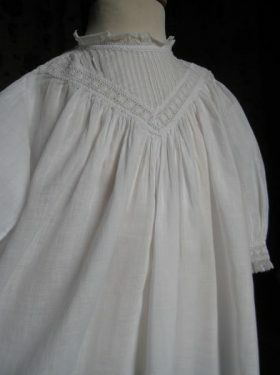 The three quarter length sleeves are gently gathered into small cuffs and again trimmed with narrow lace. 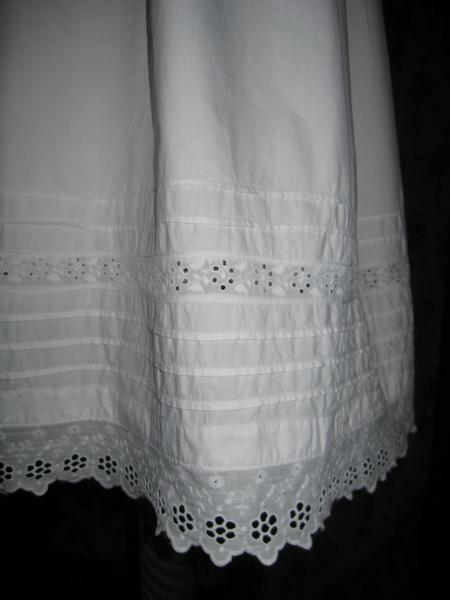 The skirt is softly gathered into thebodice and falls into a lovely little hemline decocrated with wide pintucks adn broderie anglais lace, then finally trimmed with a scalloped lace edging. 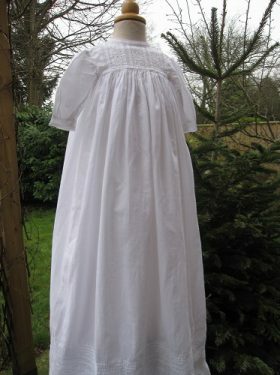 If you want an antique christening gown, slightly thicker in texture and therefore ideal for winter baptisms, without the fuss of some of the grander gowns then this little item is probably just right for you.